Customer life cycle management is a challenging and yet interesting topic for most marketers. It is challenging, because the strategy for each sector is different, based on which stage the customer is in his life cycle. It is interesting, because through implementing the correct life cycle strategies, you can make the customer a repetitive customer for your organization. Overall, the customer life cycle has many variants, and each theory will list out different steps based on the marketers prerogative. This article presents 7 easy steps in the customer life cycle. 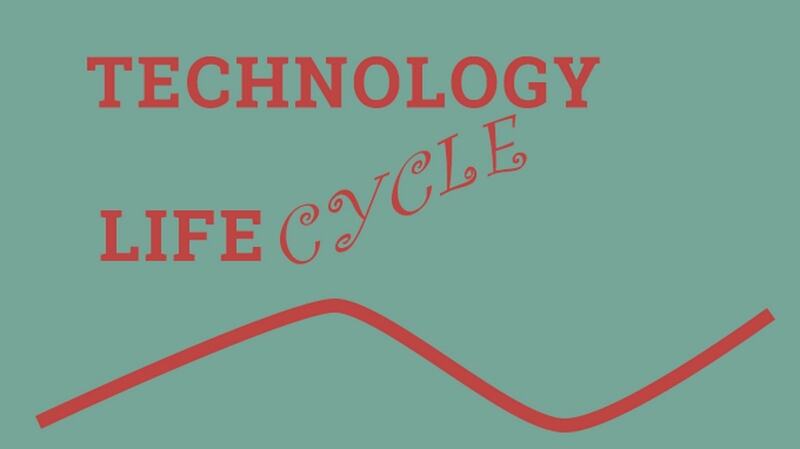 Just like the product life cycle, the customer life cycle too is buoyant at start but looses steam at the end where customers appear dissatisfied or have left the brand altogether. This is the first stage of the customer life cycle and this is a stage where maximum expenses for a company occurs. When they make an enquiry, customers are known more simply as leads or potentials. When these leads purchase a product, they are known as customers. The sales pipeline is important in this stage, because the more leads you have, the more potential customers you have in hand. 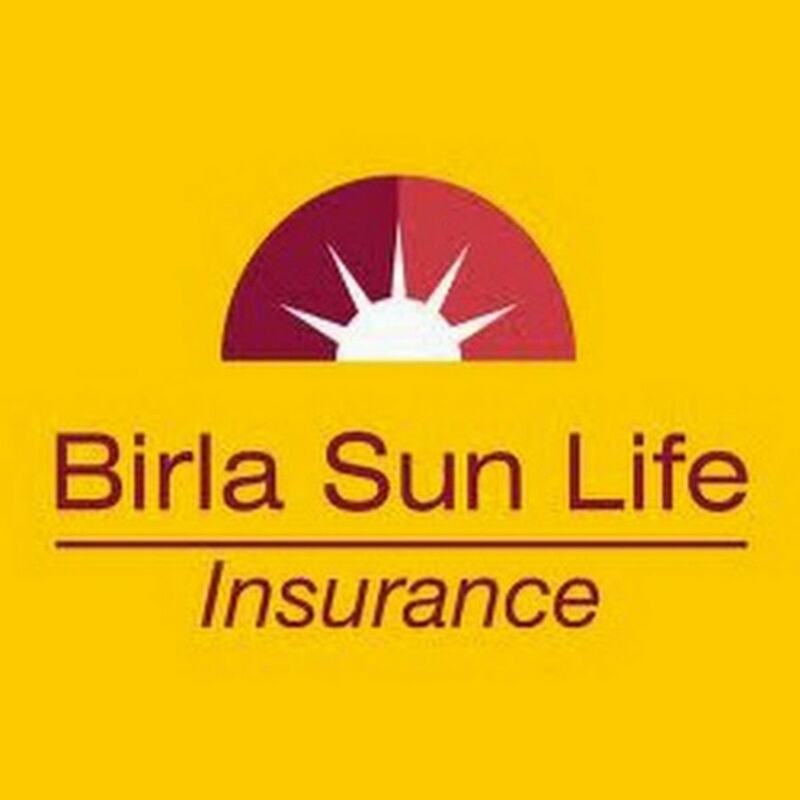 To build a strong pipeline, and to convert these enquiries into customers, companies make a lot of expenses in terms of ATL and BTL advertising. Once a potential customer has made an enquiry, he can either be converted to customer, or he might not purchase the product of your brand, or might not purchase at all due to various reasons. Thus, the company needs to have the right marketing strategies in place to convert maximum leads to customers. Branding and the marketing mix play a crucial role in closing a customer sale. When the brand equity is high, customer is already convinced. But companies for which brand equity is low, will find many customers in the stage where enquiry has been made but closures are very less. 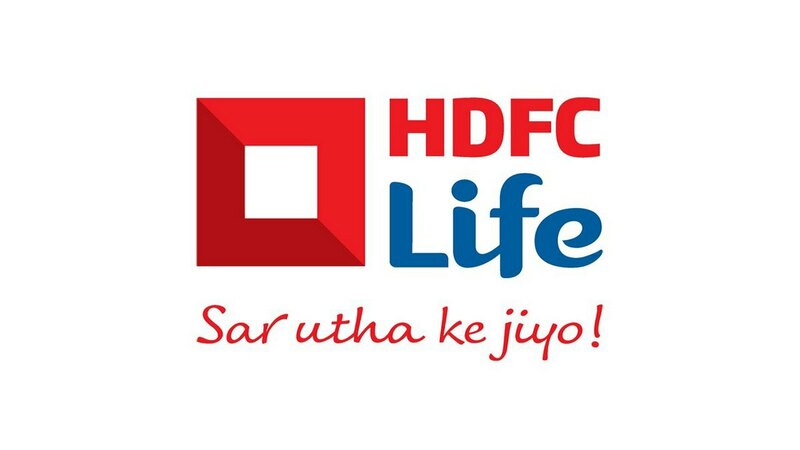 Most applicable to the FMCG and consumer durable industry, a customer is known to have more lifetime value when he keeps repeating purchases from the same brand or company. Off course, repeat purchase frequency varies from company to company. However, customers at this stage are most likely to become good lifetime customers. At the same time, these customers are most likely sources of good word of mouth for the company. Applicable mainly in case of companies which have a multiple product portfolio to boost sales, cross selling and up trade increases the overall involvement of the company with the brand. Consider the example of the brand Apple. You will see many people using the macbook, iphone, Iwatch and ipod simultaneously. These are the best kind of customers that a company like Apple can have. These customers are strong brand proponents and they take brand loyalty to an altogether different level. 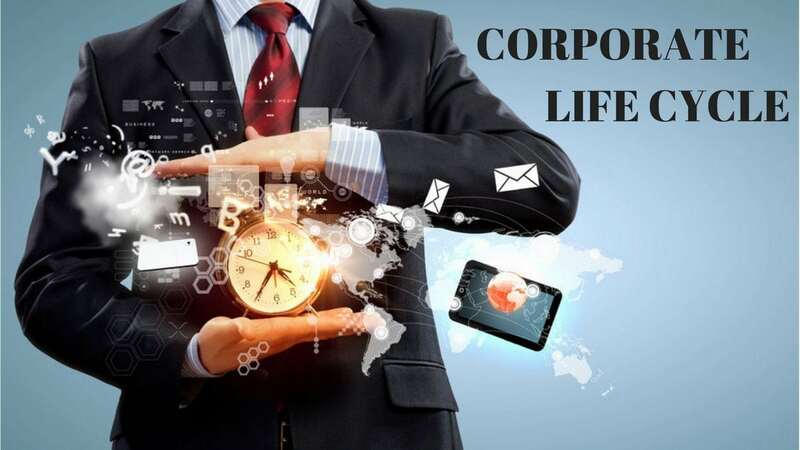 Thus, once a customer is acquired, it is the companies initiative which can convert him to a strong brand follower and a proponent of the brand qualities. This is the stage is the customer life cycle where the negativity starts and this stage can happen when the customer is just acquired, or even when he is a repeat customer. One of the most common complaints of dissatisfied customers is related to customer service, or it can also be product related problems, and finally the complaint can be about the product design itself. 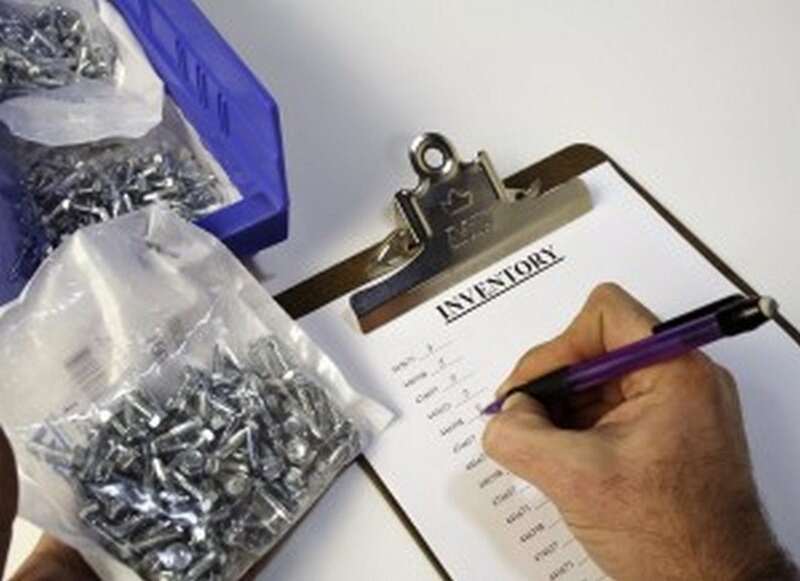 Customer service can be handled by the operations department whereas product performance and product design related complaints have to be handled by the manufacturing division. In either case, to have a happy customer, customer complaints need to be resolved quickly and efficiently – which is the major role of service delivery department of any organisation. If it is not resolved, you might lose customers at this stage of the life cycle. If the customer complaints with regards to service, or product design and problems are not handled properly, then there is a risk that the customer might enter the dormancy stage. In this stage, the net result is that the customer will not buy from the brand. Customer might not buy the product altogether, or alternatively, he might be buying from competition. In either case, the customer is said to be dormant for the company and is assumed that he will not be buying from the company. To avoid entering this stage of the customer life cycle, many companies introduce offers at the dissatisfaction stage so that customer does not become dormant. Once a customer is dormant, the cost of revival of customer is almost equivalent to the cost of acquisition of the customer. Remember that revival is of two types – revival of customers who are dormant and revival of customers who are actively buying from competition. Due to high competition as well as the challenges of the customer service department, you will find a small percentage of your customers lying in the revival stage of the customer life cycle. These customers are important too because they are negative proponents of the brand and might be responsible for negative word of mouth. The best way to revive customers, is to find out their complaints and resolve it at service level or manufacturing level so that this customer is revived and you don’t lose future customers for the same complaints. The revival stage is the last stage of the customer life cycle. 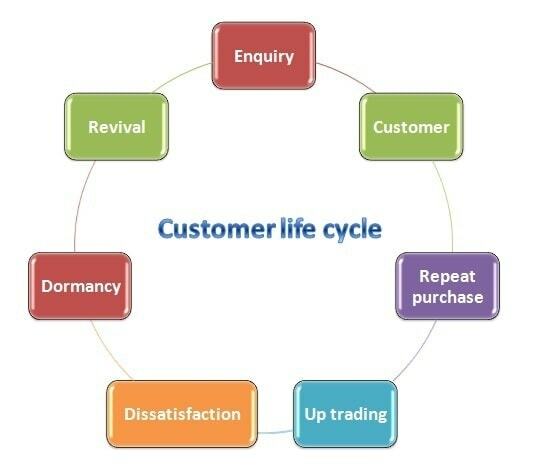 Once a customer is revived, he will make an enquiry and then he enters the customer life cycle again. Plotting the customer life cycle graph is excellent for an organization as managers then come to know how the potentials customers, leads and customers are actually connected to the brand. Are they yet to buy a product, have they bought and are they happy, and finally if they are leaving, then how to bring them back? If a company has 100% customers, then it can be divided into 60% current customers, 20% potential, 10% upgraded and 10% dormant or shifted to rivals. The company then needs to concentrate on the 40% customers who are potential, looking for upgrades, dormant or at flight risk. These 40% customers will bring new business for the company.